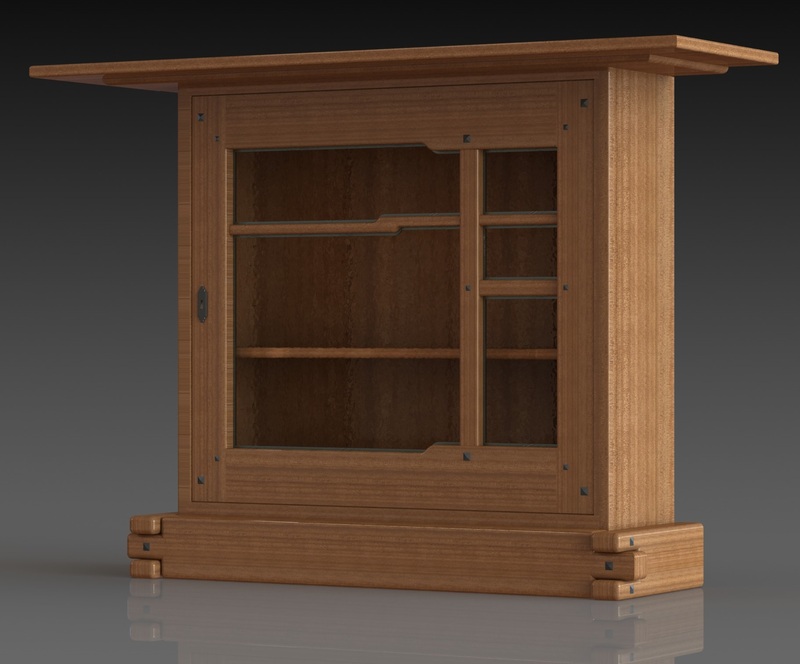 After staring at the real “Thorsen house cabinet”, I noticed that the door in the Barnard design is different from the left hand door in the real cabinet. I don’t know if the change was intentional or an error, but the lift pattern in the long mullion is upside down. In the original door this detail follows the lift in the top rail, in the Barnard door it doesn’t feel as harmonious. And after looking at the video and photos of the Thorsen dining room there is clearly a pattern of echoing the same shapes in adjacent parts. 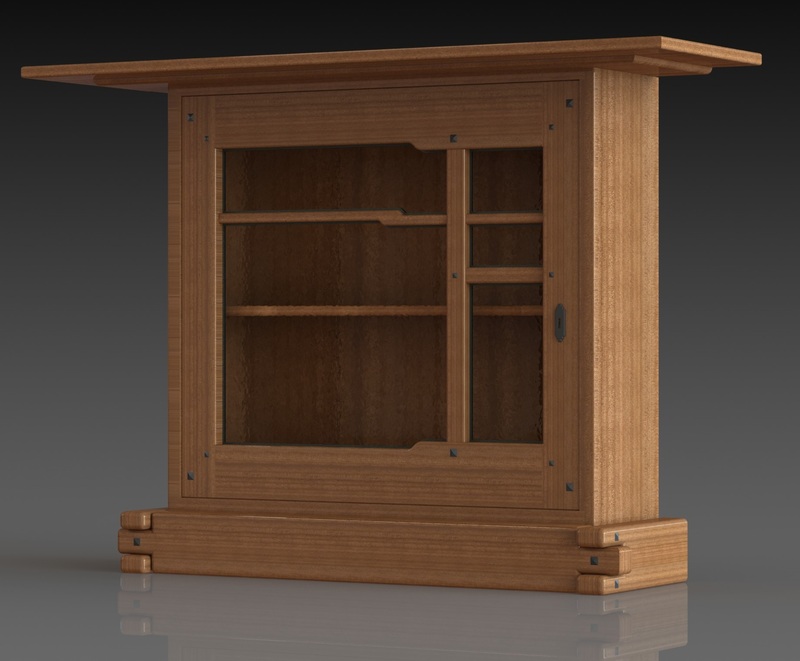 So I updated my CAD model to see what it would look like – I like this better, although I’m not sure about having it hinge on the left side yet. I also slightly raised the short mullion which is closer to the original left door I think. The rails and stiles look a little too wide compared to the original too, I’m not sure I want to mess with that for this project though. 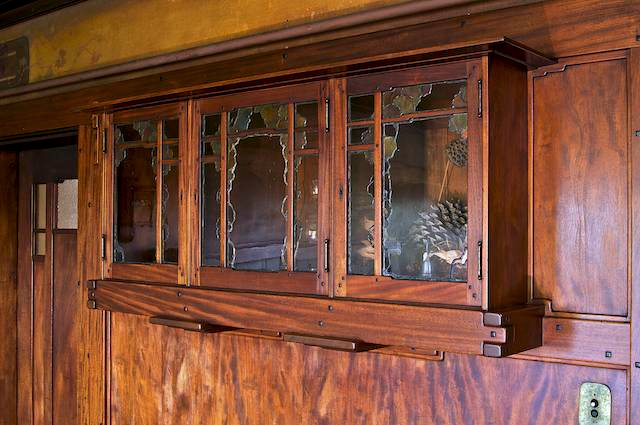 Original Thorsen Cabinet from “Poems…”, the left door is a mirror image of the right door.